The United States says Cuban people will not gain greater freedoms under Cuba's newly installed president. 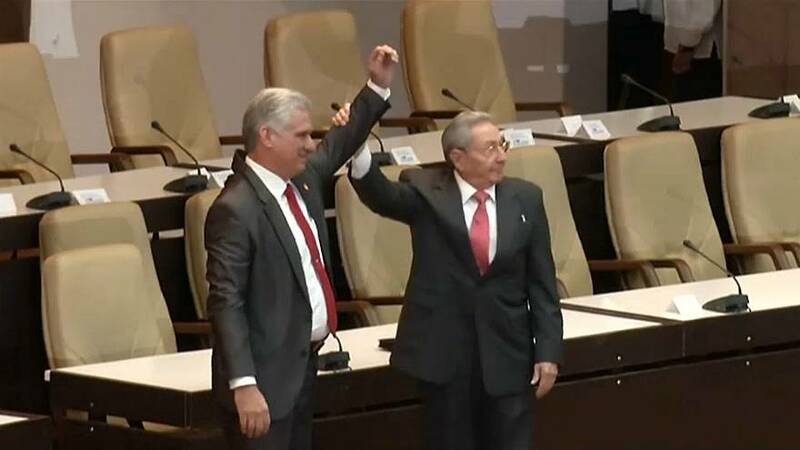 Miguel Diaz-Canel began his term on Thursday promising to defend the socialist revolution and modernize the island's economy. “Cuban citizens had no real power to affect the outcome of this undemocratic transition process. We are disappointed that the Cuban government opted to silence independent voices and maintain its repressive monopoly on power, rather than allow its people a meaningful choice through free, fair and competitive elections," said the US State Department's spokesperson Heather Nauert. There are mixed feeling from many Cubans - some who have struggled with economic hardship and are frustrated with the government's emphasis on continuity. "There are many things that should change in Cuban politics. Because experience shows that there are always things that work badly. We are not perfect," said one woman ruefully. "He was a comrade that, for me, had all the talents to govern," said an elderly man. Despite its new leader, the Trump administration says it has no intention of softening its policy toward the island's government.